Written by: Tim Herlihy, Timothy Dowling. 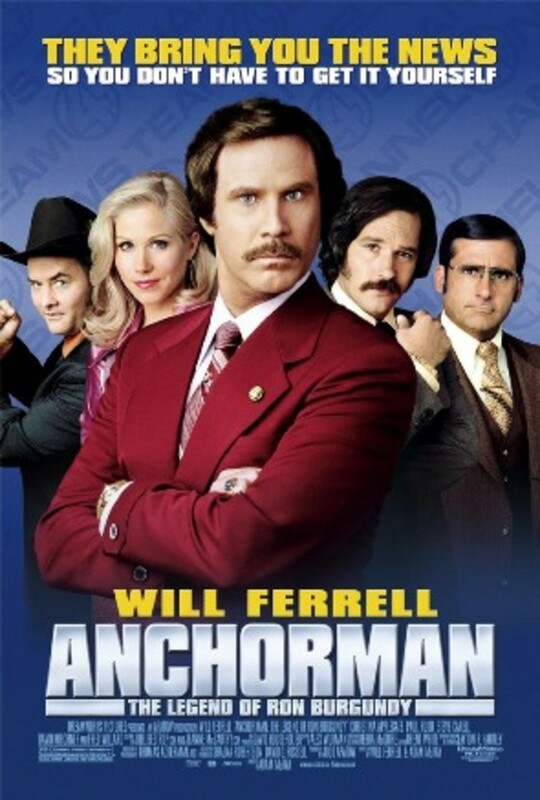 Produced by: Michael Barnathan, Chris Columbus, Allen Covert, Mark Radcliffe, Adam Sandler, Kevin Grady. Starring: Adam Sandler, Josh Gad, Michelle Monaghan, Peter Dinklage, Kevin James, Brian Cox. Well, here we are again. It shouldn’t be a surprise to anybody that Adam Sandler, by all means the auteur of crap, made a movie that isn’t very good. PIXELS is probably one of the worst movies I’ve seen this year, but what’s surprising is that it still doesn’t top the miserable time I had watching THE GALLOWS, or this year’s other Happy Madison project, PAUL BLART: MALL COP 2. Doesn’t change the fact that I cringed through most of this thing. Why on earth does Sandler never realize that the characters he thinks are likable really aren’t? That’s one of the biggest problems with PIXELS as an experience, is that all of these characters are so vehemently unlikable and the movie seems to be oblivious to this. It reminded me of the youtube series VIDEO GAME HIGH SCHOOL; like that series, the film is played up and exaggerated, but not in a charming way. Like that series, the film makes gamers look obscenely lame. The worst offender is easily Josh Gad. I’ve enjoyed the guy fine in other things, but here he literally made me cringe with everything that came out of his character’s stupid mouth. He is so aggressively unfunny you can’t help but wonder whether or not he’s screwing up on purpose, like a little kid who poops on the floor because they’re mad at their dad for taking away their LEGO’s (I’m the only one who did that?) Dinklage should know better as well. This guy is in his prime right now, he’s doing great work on GAME OF THRONES and has had a long history of character acting, what is he doing here? I asked myself that throughout the entirety of this movie and never could figure that out. 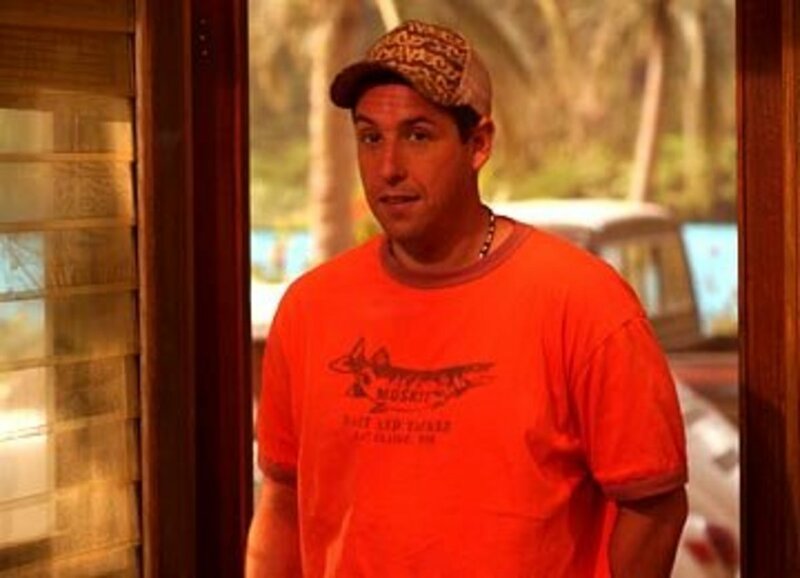 Sandler is bad, but he’s a little more bearable than he was in say, JACK AND JILL or THAT’S MY BOY, if only because he isn’t doing a stupid voice. He isn’t doing a stupid voice because Peter Dinklage was doing it for him (again….why? I want to understand but I just cannot). The rest of the cast are mostly just mediocre, between this and PAUL BLART, this was the better of the two Kevin James performances I’ve seen so far this year (still not saying much). Monaghan is trying her best in material that’s clearly beneath her; she’s not good in the movie per se, but her performance is reasonable. I know I shouldn’t keep harping on the acting, but that really is what kills PIXELS. Dinklage in particular is a chore to watch, he plays Eddie the Fire Blaster, and he has affected this weird Louisiana accent that isn’t really that funny as well as character traits that Dinklage is unable to sell. 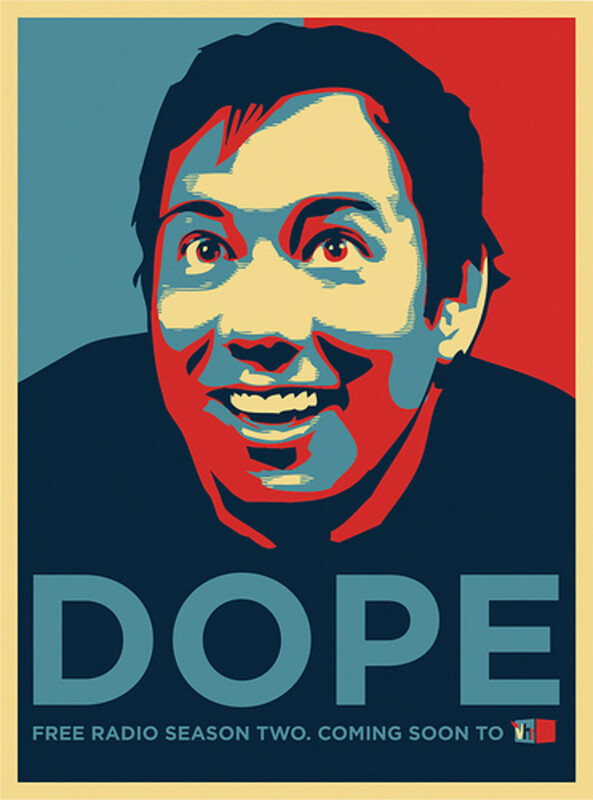 (See, Sandler doesn’t have to do the stupid voice, Dinklage is doing it for him!) I will accredit PIXELS with not resorting to short jokes but Dinklage’s character is so deeply unlikable that it wouldn’t have made too heavy a difference. One bright spot is a bit part that Sean Bean has, where his character calls Josh Gad’s a “wienercoat.” The man can sell an insult, what can I say? The film’s approach to its female characters is about on par with a typical Sandler project. Michelle Monaghan doesn’t like Sandler ‘because he’s a nerd’ and comes to see that he ‘has a heart of gold. The thing about this is Monaghan is a solid 9, and Sandler is maybe a 1 and a half. I didn’t buy them liking each other at all, but I did buy them hating each other. There’s also a character arc where a character Josh Gad obsesses over, the “Lady Lisa” comes to life and at the end when she disappears, one of the tertiary characters turns into her and says ‘she’s a trophy.’ Perhaps this is intentional but the plot thread is so hopelessly misguided that it doesn’t make a difference. On another, less egregious note, Jane Krakowski (that blonde lady you see in all the Tina Fey shows) appears as Kevin James’ wife and I could have sworn her entire direction was just to stand there and wave or laugh when cued. It’s probably for the best that she has as little screen time as she does but it is still a huge, huge waste. PIXELS is more or less what I expected going in, a very cringe-worthy experience from start to finish. The direction is ok, why Chris Columbus, the man who bought us the first two Harry Potter films thought this was “one of the most original scripts he’s seen in years” (seriously, look that up) is beyond me. It’s riddled with clichés, its characters are immensely unlikable, it carries Sandler’s staple down to a tee. The most annoying part for me is how it makes Gamers look: for the most part I view that as just another label, but too often we see people who play video games as a hobby portrayed as narcissistic, cruel, foolish man-babies. You can find those kinds of people if you look on the internet, but that’s hardly everyone who identifies by the label, as film would have you believe. It’s time for more complex, human portrayals of gamers. 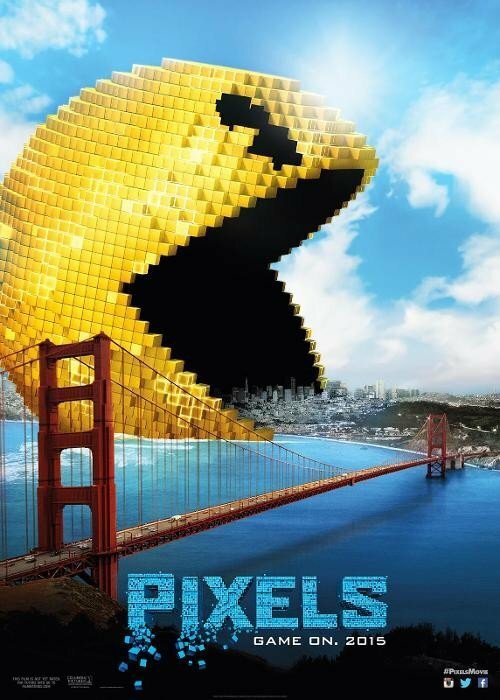 PIXELS doesn’t offer that, it is not worth recommending in any sense of the word, and another addition to Sandler’s garbage heap of a resume. I have yet to see anyone write a kind word about this movie. Glad I did not see it. Might go down as one of the worst ever.